Jeff Sessions’ ouster felt like a long time coming. The announcement that Sessions would step down as attorney general, a decision he said came at the president’s request, came a day after Democrats took control of the House, loosening Republicans’ grasp on Congress. President Donald Trump has foreshadowed this move for months, repeatedly airing his frustrations with Sessions’ decision to recuse himself from the Russia investigation, and publicly shaming the Cabinet member in press conferences and on Twitter. This shift in the role of chief law enforcement officer could also affect Deputy Attorney General Rod Rosenstein’s supervision of special counsel Robert Mueller’s investigation into Russia interference in the 2016 presidential election and possible ties to Trump’s campaign, something Trump has repeatedly described as a politically-motivated “witch hunt.” Both Democrats and Republicans have pointed to Rosenstein as a crucial part of protecting the integrity of the investigation. The PBS NewsHour asked four experts what implications Sessions’ departure has for Mueller’s Russia investigation. Can Matthew Whitaker, Sessions’ replacement, fire Mueller? With Sessions out, Matthew Whitaker, the acting attorney general, would presumably have authority over the Mueller investigation, which under Sessions was supervised by Deputy Attorney General Rod Rosenstein. Under federal law, Whitaker, Sessions’ former chief of staff, could serve as acting attorney general for up to 210 days before Trump would be required to pick a permanent replacement. Legal scholars and former Justice Department officials said they believed Whitaker or his permanent replacement would have authority to fire Mueller and end the probe, though it’s unclear exactly how Mueller would get forced out. “How Bob Mueller might be fired remains an open question,” said Nate Persily, a constitutional law expert at Stanford University. “We don’t know whether an incoming attorney general would fire the assistant Attorney General who is in charge of the Mueller probe,” or fire the special counsel directly. Whitaker could also impact the special counsel investigation in other ways without firing Mueller. For example, he could try to shut down or stifle federal investigations into people Mueller has referred to U.S. prosecutors. One example is the federal investigation into the business dealings of Michael Cohen, Trump’s longtime personal attorney. 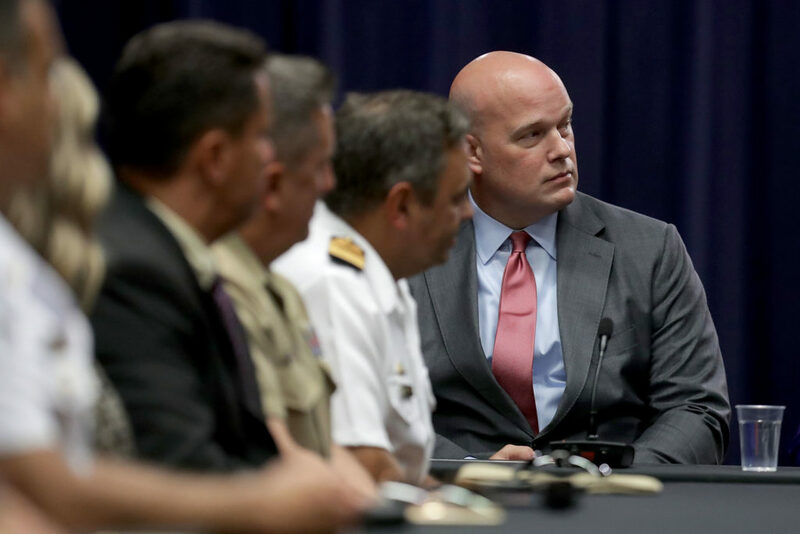 Veteran prosecutor Peter Zeidenberg also pointed to Whitaker’s public criticism of the Russia probe, in which the chief of staff alluded to the attorney general’s control of a special counsel’s budget. “I’m not confident at all that Whitaker has any interest in protecting this investigation or seeing that it’s completed properly,” he told the NewsHour. Ending the Russia probe was not the reason Trump asked Whitaker to step in, Kellyanne Conway, counselor to the president, told the NewsHour’s Judy Woodruff on Wednesday night, adding that the president has indicated a permanent replacement for Sessions will be appointed soon. Zeidenberg said Sen. Lindsey Graham, R-S.C., a Trump confidante, previously telegraphed Sessions’ ouster as a possibility. “We’ll have a new attorney general most likely early next year,” Graham said on a conservative talk show days before Tuesday’s elections. Before the announcement, which came, as with other high-profile ousters, via Twitter, Trump tweeted about NBC News exit polling that showed 45 percent of voters saying they disapproved of the Mueller investigation, compared to the 42 percent who did. Back in January, a PBS NewsHour/NPR/Marist poll found that two-thirds of U.S. adults said they wanted Mueller to be allowed to finish his investigation. It’s not immediately clear if Trump factored public opinion about the Russia investigation into his decision to fire Sessions, but he did mention the NBC News exit poll during Wednesday’s news conference. Persily argued that Trump’s motivations were clear. “We all saw this coming. Trump had questions about the Attorney General’s loyalty and he waited after the midterm elections to fire him,” Persily said. What’s noteworthy about Sessions’ resignation letter? “At your request, I am submitting my resignation … .” That’s how Sessions’ resignation letter began. The undated letter was addressed to President Donald Trump, and when it was released, one notable thing about was Sessions’ inclusion of “At your request” at the top. Simply, it means he got fired, Zeidenberg said. “If Sessions were, say, to resign obviously because he wants to spend more time with his family, that would be a different matter altogether,” he said. As such, Sessions’ sudden departure has prompted concern from both Democrats and Republicans. Sen. Dianne Feinstein, D-Calif., said in a statement that Trump has “made abundantly clear that he’ll take any action he can to undermine the Mueller investigation,” adding that Rosenstein was capable of overseeing the probe. “No one who lacks Senate confirmation should be placed in charge of this investigation, especially Matthew Whitaker who publicly criticized Robert Mueller’s work just last year,” said Feinstein, a ranking member of the Senate Judiciary Committee. “Special Counsel Mueller must be allowed to complete his work without interference—regardless of who is AG,” she added. 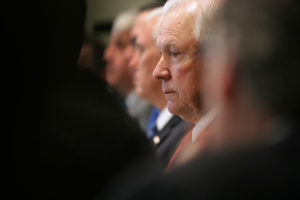 Several high-profile Republicans, including Senate Majority Leader Mitch McConnell, who threw his weight behind Sessions when Trump publicly criticized him in August, praised Sessions for his work as attorney general without weighing in on Whitaker or Trump’s decision. What will the fight over Mueller’s report look like? The report that Mueller is expected to write with his findings in the probe would be sent to the Attorney General’s office. Sessions’ successor, whether it’s Whitaker or someone else, would then face a choice: make the report public, or try to keep it private. If Whitaker — assuming he is in charge when Mueller issues his report — releases the report, it would avoid a sure legal battle to make the documents public. If he doesn’t, it would spark a clash with House Democrats when they control the chamber next year. In that scenario, the Democrat-controlled House judiciary or intelligence committees would likely subpoena the Department of Justice to obtain the report. 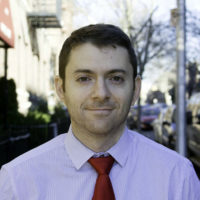 The Department of Justice could then turn over the report, or it could refuse, invoking any executive privilege and sparking a fight over the legitimacy of the subpoena, said Michael Greenberger, a former Justice Department official under former President Bill Clinton. It’s unclear whether Whitaker or another official in charge of the Justice Department would be required to release an unredacted version of the report, or whether portions of it could be kept classified. Correction: An earlier version of this article misspelled Michael Greenberger’s last name. It is Greenberger, not Greenberg.